Since then, Michael and his writing partner have written two more books for kids – the acclaimed Granddaddy’s Turn and the forthcoming Northbound, both published by Candlewick and inspired by Michael’s life. We are proud to feature Michael on Day 20. Novelty books basically lampooned current events. Titles like “The Yuppie Handbook” and “How to Be a Buppie” saturated bookstore shelves. I wanted to be part of that success. I (we) wrote several unpublished titles including: “How To Make Extraterrestrial Pen Pals” “The Deposed Dictators Job Hunting Guide” and “You Know You’ve Been Unemployed Too Long When” to name a few. We went through the process of query letters and meetings with publishers with no successes. But things turned around when we took a meeting to pitch one of our ideas to publisher, Price Stern Sloan. Then, Senior Editor Spencer Humphrey told us that while our manuscript wasn’t for them, she thought we were pretty good writers. “Keep writing and I will be willing to read whatever you come up with,” she said. Nearly fifteen years later, Spencer became our literary agent. “Write what you know about,” Spencer said. It turns out that was the best advice I ever received as a writer – and that’s exactly what I did. I reached back and chronicled events that happened during my childhood while growing up in Opelika, Alabama. I wrote about those things that were impactful and life changing. White Water came out of an incident with a Whites Only drinking fountain. Granddaddy’s Turn was based on an experience I had with my grandfather attempting to vote for the first time. Northbound was about me and my grandmother’s first train trip as we meandered throughout the segregated south traveling to Cincinnati, Ohio. The spin on these experiences was that they were told from a child’s perspective – that was the winning formula that propelled my writing to another level. White Water, my first manuscript, was purchased by Candlewick Press and published on August 23, 2011, the day after my birthday – what a birthday present. Published in hardback and soft cover, it’s been nominated for an NAACP Image Award, made into a screenplay and then an award winning made for TV Movie by TV One which was also nominated for an NAACP Image Award – Best Screenplay for a Motion Picture. 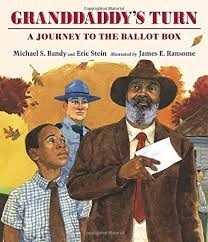 My second title, Granddaddy’s Turn: A Journey to the Ballot Box, was also published by Candlewick Press in 2015 and has garnered several publishing plaudits and reviews including: Kirkus Reviews, New York Times, Los Angeles Times, The Horn Book and School Library Journal. Granddaddy’s Turn was honored with an NAACP Image Award Nomination for Excellence in Children’s Literacy. Our most recent Candlewick book is entitled, Northbound. The title is going through the editorial phase which includes the selection of an illustrator and the determination of a publishing date. I am so happy that I’ve taken up this mantle called writing. Whether my inspiration came to me from a previous life experience or perhaps a story ripped out of a current headline – the process is the same, it completes my soul and ultimately my expression. Lastly and most importantly, I haven’t made this journey alone – I have to give homage to my agent, my writing partner, my family, my illustrators and the thousands of folk around the planet that have taken our books to heart and shared them throughout. Inspiration is an interesting phenomenon. I like to refer it as that spark or whack on the side of your head that causes you to do something. I have learned that inspiration can be elusive – you have to catch it, hold on to it and make it a reality and most of the time it’s never easy. As I mentioned earlier, most of my literary ideas have been born out of my childhood experiences. I grow up in the Deep South in the early 60’s. This period in time has been most fascinating as it was the crossroads of a myriad of changes: civil rights, voting rights, women’s rights, Viet Nam, the list goes on. I wanted to talk about these events but from a child’s perspective. I knew what it felt like drinking from segregated fountains and riding in the back of the bus. I wanted to say how I felt and more importantly how I viewed the world around me. For example, in White Water, the protagonist Michael discusses not the indignity of paying your fare, exiting the bus and going to the back, but the inefficiency of it all. Michael’s message is the same but more palatable and less “preachy” at least from my perspective. Don’t lose your inspiration because the process seems insurmountable. Like anything, we want our efforts to pay off. But when the marketplace says who will buy that and every publisher you have submitted it to turns you down, inspiration is that catalyst which motivates you to keep writing. Our agent once said, “Selling a kid’s book is just like threading a camel through the eye of a needle.” While she borrowed part of her comment from a literary title more lofty than mine, I understood exactly what she was saying completely – it’s hard. White Water didn’t start out as a children’s book manuscript but it came out of another format, a short screenplay. Our White Water screenplay was shown to our agent who suggested that it would make a wonderful kids title – one problem, how do you write a kids book when you have never written one before. Eric Stein and I researched all the information we could. We spent lots of time, sitting on the floor of bookstores watching what parents were buying for their kids and more importantly what kids enjoyed reading. After several incarnations (45 to be exact) of the manuscript, our agent took the best of the best and sent it out to five publishers and Candlewick Press said, “we want this.” Over the next five years, yes five years, an NAACP and Coretta Scott King award winning illustrator (Shadra Strickland) came aboard and in August of 2011, White Water became a reality. Granddaddy’s Turn: A Journey to the Ballot Box came about after the urging of an audience member who heard me tell the story of my experience of going with my grandfather to vote for the very first time. She told us, “I don’t care whatever project you are writing, you have to write this story.” We took her up on her suggestion, wrote it and presented a manuscript to Candlewick and it was published in 2015. Northbound is our latest book. It will be illustrated by the award-winning artist James Ransome, who also illustrated Granddaddy’s Turn. Writing a children’s picture book is twofold. There is the written word and there are the individuals who interpret those words graphically called illustrators. 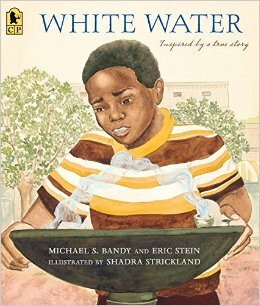 There is no way White Water and Granddaddy’s Turn could have garnered the accolades that they have without the extraordinary talents of illustrators Shadra Strickland and James Ransome. While these artists have different styles, they both put their creative stamp on our projects causing them to leap off the page. We were amazed on how our illustrators came up with the ideas they did. In either case, the publisher discouraged any formal artistic communication with the artist and after doing this for a while; this was probably for the best. This way, the illustrator has the opportunity to showcase their vision. The horizon is replete with several African American Writers and Illustrators with varying degrees of success. Some of my favorites are Renee Watson, Christian Robinson, and Crystal Allen. I love the books which have been illustrated by Jerry Craft and penned by Sabrina Carter. Her titles My Hair is Curly and Please Don’t Yell at We are just wonderful. Oh course, Keith Frawley, Brian Pinkney and Kadir Nelson are the standard bearers for our industry. 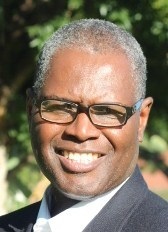 Learn more about Michael here. Forty-five drafts shows a lot of patience and dedication. What a well-earned success – and how cool to have something come full circle and be made a screenplay as well. I’ll look forward to reading these books.